When Southern California DJs Red Sonya + Alien Tom team up, be warned there will be a Red Alien Invasion! 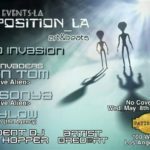 Green Life Events presents: Composition_La (Art & Beats Show) featuring guest DJs Red Sonya & Alien Tom (Native Alien), WhyLow + resident DJ David Hopper. 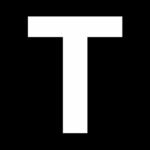 Don’t miss T is 4 Techno at Catch One, Saturday, 3/16, featuring Red Sonya, Alien Tom + surprise guests! 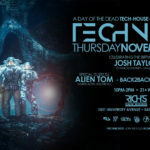 Don’t miss the Techniche debut of Alien Tom & Red Sonya of Native Alien & T is 4 Techno playing a special back-2-back set at Rich’s. 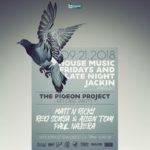 House Music Fridays at The Air Conditioned Lounge is a weekly event celebrating good house music, good friends and good drinks. Alien Tom and I are playing poolside on Friday, May 4th for a special Red Alien Invasion set of house & techno at West Coast Weekender 2018. The lineup is stacked day and night all weekend, we can’t wait for our Staycation here in San Diego! Pleasure presents TRIBE NIGHT every 1st and 3rd Tuesday at The Kava Lounge. Alien Tom and I are going to play this Tuesday, October 18th. 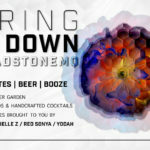 Come dance with us! 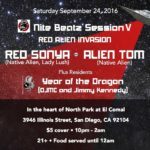 Saturday, September 24th, Nite Beatz at El Comal in North Park San Diego featuring Red Alien Invasion (Red Sonya & Alien Tom) plus Year of The Dragon. 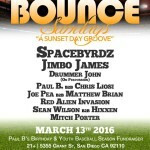 Join us Sunday March 13th for BOUNCE SUNDAYS, A Special Edition at the Brickyard Cages featuring Spacebrydz, Red Sonya, Alien Tom, Joe Pea and more! 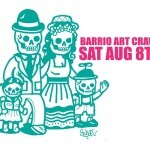 Join Red Sonya & Alien Tom for a #RedAlienInvasion of the Barrio Art Crawl, Saturday August 8th! 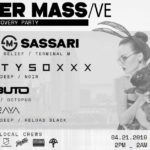 After party kicks off at 10:30!